Hey everyone! Tanner Bell here. Are you looking for a DIY to give to your Crafty friend? 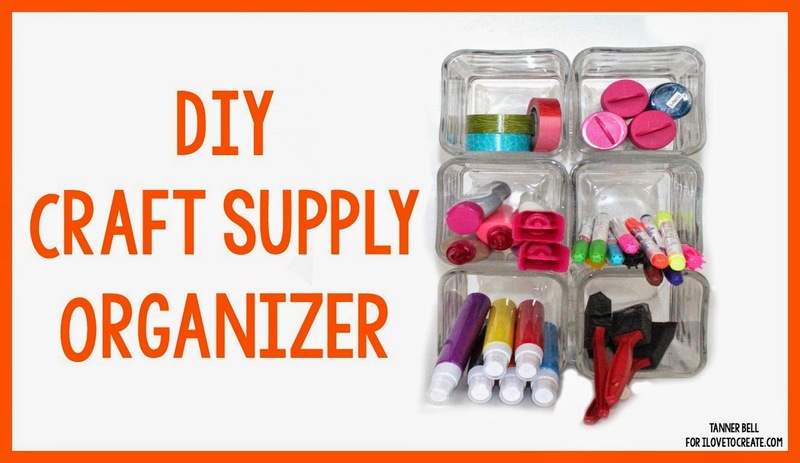 This DIY Craft Supply Organizer will be great for you! It can also be made from dollar store vases. Isn't that Great? Let's jump into today's project! This is such a easy gift, and any of your crafty friends would love it, I'm sure! You can even make one for yourself. It hold a lot of different supplies and think of what else you could glue together with the Liquid Fusion. Tanner Bell is a DIY Teen Crafter. He has been sharing his love our crafting online since 2010 when he started his first Youtube Channel. He now is co-owner of A Little Craft In Your Day, a popular DIY craft blog sharing daily inspiration to inspire young millennials to DIY.